Each of the 12 unit assignments that make up the CSMP® Accredited Diploma is designed to assess you in your assimilation of the unit materials provided and your ability to apply knowledge and theory to specific practical circumstances. With the assessment focus on demonstration of application, essay writing skills are less important but you do need to be able to analyse typical security problems and produce appropriate solutions. A unique characteristic of the CSMP® Accredited Diploma is that during the course of the distance learning programme students are typically assessed by up to 12 different assessors, each a highly competent senior security management professional who has personally undertaken – and excelled in – the CSMP® process. Thus, they have the ability to view the challenges of the programme from your perspective. Bios of the assessors are provided below and as all assessors are CSMP®-certified this also gives you an indication of the kinds of professionals who undertake the CSMP® Accredited Diploma programme. The assessment process is entirely professionalised and a critical quality differentiator is that ISMI® doesn’t use volunteer (unpaid) support. All assignments are marked by two assessors, who are externally verified, ensuring objectivity, accuracy and consistency of assessment. Assessors are drawn from a variety of sectors, subject matter expertise areas and, importantly, several different countries. This ensures that ISMI® can tailor assessment to specific assessor areas of expertise and underscores the validity of the international “credentials” of the certification. In short, being professional certified in security management by the distinquished group of professionals listed below is a worthy addition to any CV! Many of the assessors also support students directly in the capacity of coaches, offering mentoring via email and telephone. British former Regional Loss Prevention Manager overseeing profit and loss of £250,000,000 in sales revenue across London. 17 years’ experience in policing and investigation, 6 years served as a method and special tactics officer for Thames Valley Police. In addition to his CSMP® diploma he holds a Level 5 BTEC HND in Security and Risk Management and a qualified HSCA (Hikvision Certified Security Associate). Starting his new role in 2019 as part of a team of European Security Tech Specialists for a fortune 100 retail giant designing and implementing physical security systems/Cultures/Education/Policies. A former professional Jump Jockey and business owner. British Head of Security Operations for a large campus university. Over 18 years’ experience in the security industry, covering both private and public entities and enterprises. 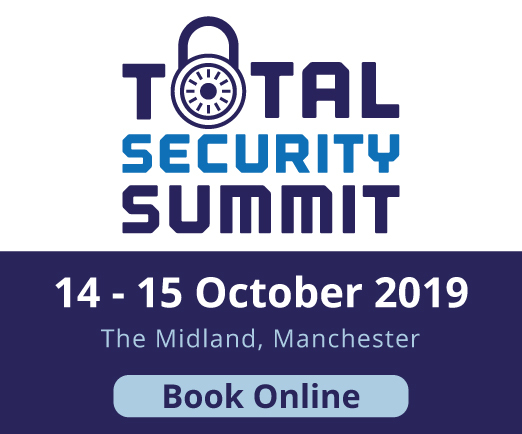 A heavy and current focus on security in the higher education market, with a particular focus on change management, complemented with experience and qualifications in large-scale event security operations, including both security and health and safety provision. Extensive experience in the creation and delivery of event management plans and traffic management plans. Awarded the Professional Certificate in Event and Security Management from Bucks New University and qualified as a stadium safety officer as well as experience in aviation security gained from management positions in a prominent London -based Airport. Also holds the level 6 Certified Security Management Professional (CSMP®) Diploma. UK-based Cypriot security consultant with over 18 years of senior management experience across three sectors of the private security industry, namely training and education, sales and man management. Currently based in the United Kingdom, has managed a workforce of security operatives at the British Academy of Film and Television Arts (BAFTA) and was integral to the security event planning around high profile events and ceremonies attended by the likes of the British Royal Family, international political delegates, as well as A-list film stars and directors. An avid proponent of the quality of training standards, as part of the agenda of an annual research forum meeting conducted by the UK Security Industry Authority, was invited to present his research findings into the effectiveness of security license training. An honourable mention winner of the ASIS International Student Writing Competition, has authored an article for publication in the prestigious Securitas annual report survey for America's Top Ten Threats. Holds a Master of Science degree in Security Management from the University of Portsmouth and a BA (Hons) degree from the University of Cape Town. Current H&S Manager for a UK police service with responsibility for development of strategic level policy, procedure and risk management. Previously completed a 30-year, UK police career in both supervisory and more latterly leadership role. Experience includes investigation, incident management, emergency response, public order, search, safety and training. Further experience within the fire service in safety, fire risk and control, and security. Qualified to level 7 in Leadership, Risk Management ISO 31000, NEBOSH Diploma, Data Protection Officer, BTEC Education and Training and CSMP®. British Security Inspector for UK public service regulatory body responsible for regulating a high hazard industry. Over 30 years’ experience in security management. Previously a security consultant in the Middle East designing integrated security solutions for Critical National Infrastructure. Experience in security risk management, counter-terrorism, investigations, security design and training. Holds an MSc in Security Management and various qualifications in Intelligence Management, Leadership and Management, and training. South-Africa based Security Management Professional with a 25-year history in law-enforcement, the military and corporate security. Skilled at Crisis Management, Operations Management, Emergency Management, Physical Security, and Close Protection. Has an extensive public-sector Counter-Terrorism background. Contracted globally as a security manager in hostile environments by several leading Western embassies, as well as oil and gas majors. Apart from law-enforcement and military security related qualifications, also completed a NEBOSH International General Certificate and the CSMP® Diploma. British Director of Security Operations at US Tech Giant covering all Physical Security, Crisis Response and EHS delivery globally. 30 Year career, including service as British Army Officer, HM Government Operations Officer working in Security and Intelligence, Security Advisor at an Oil and Gas major, and Chief Security Officer of a medium sized Cellular Company. Extensive experience in Europe, Middle East, Africa, Central and South America. Particularly focussed on working in high risk environments and how to develop Enterprise-wide Risk Management Programmes. French Security Project Manager, based in Northern Latin America and operating for a benchmark security operator in the European security market. Extensive experience gained in tough degraded security environments. Extensive experience in implementing the overall “security umbrella” aiming at protecting staff, assets and image of corporate clients. Experience as an instructor, in charge of training clients on how to operate adequately in degraded security environments. Experience in kidnapping prevention and urban security. In addition to holding the ISMI® CSMP® diploma, holds a close protection certificate, kidnapping prevention and urban security certificate, as well as an identity document forgery detection certificate (airport security). US Director of Electronic Security at a leading American university. Formerly FBI. Brings to the ISMI® assessment process a detailed knowledge of security of higher education facilities, security consulting, physical security design, policy development and workplace violence. 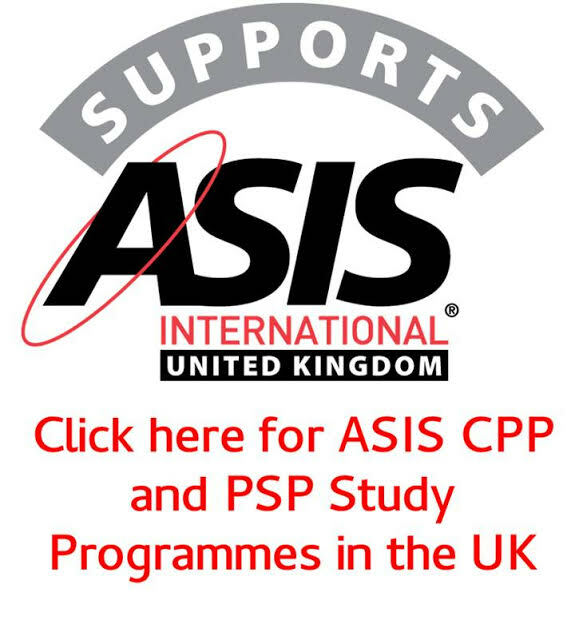 Aside from assessing for ISMI® also conducts CPP and PSP preparation programs on behalf of ASIS International and the International Association for Healthcare Security and Safety so has an in-depth knowledge of security management certification programmes. Canadian security consultant and intelligence specialist with 15+ years' experience in the security field and 20+ years' experience in Information Technology. Hands-on expertise spanning physical and logical security including guarded site management, process development, threat identification, and security program implementation. Holds a Master's Degree in Intelligence Analysis, a Bachelor Degree in Political Science, a Diploma in Police Foundations and a Certificate in Project Management. Ukrainian Security Officer in charge of security and safety of staff and assets protection for an international mission in Ukraine, with 18 prior years of experience within the police, specializing in investigations, Interpol criminal cooperation and peacekeeping in Liberia and Kosovo as Chief of the UNMIK Interpol Liaison office (UN) and Organised Crime Adviser (OSCE). After leaving the police, he also obtained valuable experience in corporate security in the banking sector and manufacturing. Qualifications include MSc in Law & Law Enforcement and CSMP® Level 6 Accredited Diploma. South African Chief Security Officer for a leading global engineering company and university tutor in criminology and police science. PhD specialising in Crime Prevention through Environmental Design (CPTED). An exponent of an applied criminological approach to mitigate crime and/or its risks. Also specialises, integrated physical security systems and crisis management. Previous senior military staff officer commanding counter intelligence and counter terrorism functions. Education: PhD and Masters in applied Criminology at the University of South Africa, a BA and BA Hons at the University of Pretoria. Australian Security Manager from with 29 years operational experience in law enforcement, security risk management, security consultancy, surveillance and investigations. He specialises in security risk assessments, security consultancy (physical & electronic) and operational security management. He holds a Diploma in Government Security, various Police training courses and qualifications in Security Risk Management, Training and Assessment and Investigations. German global lead for travel security for a multinational German engineering company with a footprint in many countries across the world. Former Bundeswehr officer specialising in reconnaissance, human intelligence and the development of security policy. Academic degrees in political science and security management and specialises in policy development and practical implementation of security management to protect key personnel. Extensive personal travel experience in high risk countries. Brings to the ISMI® assessment process a detailed knowledge of corporate governance in relation to security management within a global multinational company. British Managing Director of the Africa Division of a global US Headquartered Risk Management Consultancy, based in Kenya,with 25 years prior service as a senior officer in the Royal Navy and a further 6 years at director level in commercial private security. Extensive experience in the Middle East and Africa, including high-risk environments, and across a wide range of industry sectors. Considerable specialist experience in policy development, maritime security, physical security, asset protection, risk assessments and security management. Holds an MSc in Security & Risk Management from Leicester University and CSMP® from ISMI®. Canadian Director of Security with one of Canada’s largest global aid NGOs. Extensive practical experience in risk analysis and SOP development. Oversees crisis management and disaster recovery planning for humanitarian organisations. Has taught at several Canadian universities. Security management knowledge underpinned by MBA and Diploma in Law Enforcement. Brings to the ISMI® assessment process a unique set of skills and specialist knowledge areas. Travels extensively to high-risk countries to put in place security management systems and processes. Currently consulting, a former British Army Officer with over 30 years’ worldwide experience specialised in the field of Protective Security, Security Risk Management and Intelligence. Brings an impressive record as both a practitioner and operational manager across the tactical to strategic domains with significant International and inter-agency Security related experience, notably from secondments with the US, ‘Five Eyes’ (FVEY), NATO, UN and EU communities. In addition to holding the CSMP®, has a Degree in Security & Risk Management, a Postgraduate Diploma in Strategic Management and Level 7 qualifications in Intelligence Management and Leadership. British senior corporate security manager for an oil and gas services provider and former Royal Marines Offficer with over 25 years’ experience in security management. Currently responsible for the security leadership of a diverse multi-billion-dollar portfolio across the Middle East and Asia. Has worked with many of the world’s leading oil and gas providers and national governments with a strong focus on critical national infrastructure, security design and compliance assurance. A Fellow of the Institute and Leadership & Management, with an impressive record in providing innovative security leadership and management, and has been instrumental in improving security performance across several large organisations. South African Regional Security Manager for multinational construction company with 25 years experience in the security field, the majority of which has been in various leadership roles in military special operations and the private sector. Experience in security and emergency management in operationally challenging environments. A Regional Overseas Security Manager for the FCO, with a HM Forces and Metropolitan Police background. Extensive experience in all aspects of global diplomatic and aviation security management, risk assessments, developing policies, training and drills. Qualifications include: PGCE/Cert Ed, CSMP®, BTec Level 7 Award in Strategic Leadership and Management. B-Tec Level 5 Diploma in Security and Risk Management. BTec Level 5 Certificate in Leadership and Management, Disaster Management, Trauma Risk Management (TRiM), Security Coordination, and Self Defence Training Instructor. Germany-based security manager for a global logistics organisation, responsible for security management and export controls. Former Bundeswehr special forces officer and current military reserve officer. After leaving Special Forces responsible for the personal protection of at risk personnel within a shareholder company. 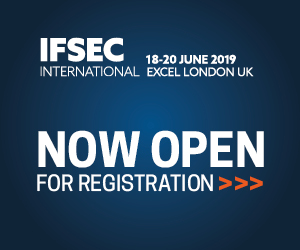 Brings to the ISMI® assessment process a vast depth of knowledge of the physical security of premises, counter terrorism measures and an excellent knowledge of business in general, underpinned by a Masters Degree in Business Administration. Australian transport security programme manager who delivers capacity building and technical assistance to regulators and operators across South East Asia. His focus is counter terrorism mitigation for the aviation and maritime sectors. Previously, managed state-level border control programmes including in the fields of counter people smuggling, illicit drug smuggling and precursor chemical diversion. Holds a Masters of Justice (Organised Crime and Corruption Investigation) and is undertaking further studies. Recipient of various awards including the Medal for Excellence and a Military Commendation. He brings to the assessment process a detailed practical knowledge of security and intelligence management and associated policy development. Security management consultant and former Divisional Counter-Terrorism Liaison Officer for one of the largest UK Police Forces – role involved advising on a wide range of protective security measures. 20 yrs experience in Security and Counter-Terrorism within Military, Police, Government and Research environs. Aside from CSMP®, qualifications include ASIS CPP, military and police trade security qualifications, M. Litt (International Security Studies), PG Cert (Management), MA (Joint Hons – Political Science). Published author on CT and security (book, chapter & articles) and non-published research papers and projects for government agencies. Regional QHSES Manager (EMEA) for an oil and gas sector consultancy company. Previous experience as both a member of HM Forces and as a former police officer. Holds MSc in Security Management. British security management consultant and trainer; specialising in strategically developing organisational security services, carrying out security health checks, designing mitigation strategies, and auditing / addressing legal compliance. In addition to a background in operational security management , anti-crime initiatives and delivering safer community projects - an accredited training qualification is held. Additional skills include; coaching, mentoring and training staff at all levels within security teams. Security Manager at UK university with 20 years’ experience in the security industry, including nine years in HM Prison Service and eleven years within the higher educational sector. In addition to CSMP®, main qualifications include BSc in Criminal Justice, Subsidiary Degree in Sociology and NEBOSH Certificate. Former Protection Services Manager, Chief Security Officer and Senior Protection Services Superintendent at major South African platinum group metals refineries and platinum mines in South Africa, bringing to the assessment process extensive experience in security risk analysis, threat- and vulnerability assessment, risk reducing strategies, security design and project management for new mines and shafts. This is supported by vast experience of crime prevention strategies and investigations into crime aimed against company assets. Extensive experience in the combating of unrest and instability through intelligence and counter-intelligence initiatives, contingency planning, command and control, emergency response and riot control operations. Baccalaureus Technologiae: Security Risk Management from the University of South Africa. Security management consultant and former Senior Superintendent in South-East Asian police force with over 33 years’ experience in internal security tactics, formulation and execution of strategy, policy and operational command, leadership and management, research, analysis, internal communication, management of change, risk, project, crime and internal investigations, audit and oversight. Brings to the ISMI® assessment process a detailed knowledge of risk management, operational planning, crisis and security management, associated policy development and front-line operational deployment and execution in South-east Asia. Education: BSc (Hons) degree in Applied Chemistry. Awards: Police Meritorious Service Medal. Former Chief Superintendent in the Metropolitan Police Service, specialising in commanding high profile events and public order policing. Strategic planner and police commander for many high profile sporting ceremonial events. Awarded Member of the Victorian Order (MVO) by Her Majesty the Queen for her leadership. Awarded the international Association of Women Police award for leadership. Specialises in major sports event security management. Current regional security manager in the oil and gas sector and former defence attaché in Middle East during period of unrest. Extensive experience in Middle East oil and gas sector environment, specialising in strategic security management, policy development and expatriate security. Role involves providing senior management with risk analysis and assessments, threat forecasting and regional travel advice, ensuring individual site security through security auditing and emergency response training and drills, liaising with security guard force providers and ensuring guard force KPIs are maintained, providing best practice security advice for new build sites including perimeter security and CCTV systems and ensuring emergency response documents are up to date. Training the Crisis Management Team in dealing with security situations up to a full evacuation. A security consultant with 30 years prior service in the Royal Marines, with specific counterterrorism expertise. Experience in Middle East high-risk environments in various sectors, government and private. Much of this extensive experience he is able to apply directly to the CSMP® assessment process. Qualifications include: Level 7 Cert. CT Studies (St. Andrew’s University); NEBS Level 5 Management; PTLLS (Preparing to teach in the lifelong learning sector); Defence Training Manager; ISO 9001:2008 Internal Auditor; ISO 14001: 2004 Internal Auditor. Head of Physical Security and Resilience with one of the UK Government’s largest law enforcement agency departments. Educated to HND level with Incorporated Engineer equivalence. Currently studying MSc in Counter Terrorism studies. Former HM forces officer. A Principal Security Advisor with one of the largest five companies in the world, with employees in over 50 countries. Experience in elevated risk environments managing K&R cases and in creating safe working environments in areas of conflict and insurgency. 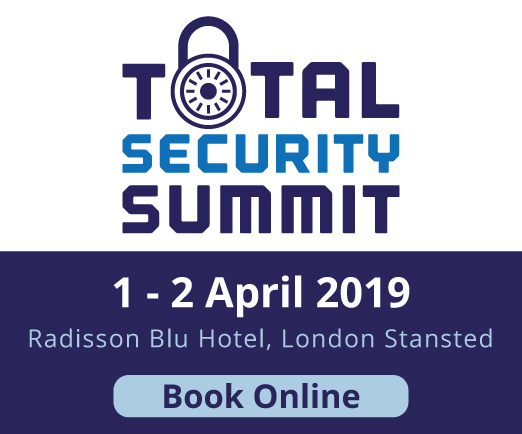 Former Head of Group Security for a national retailer, a leading global IT company and Head of Security for several prominent UK universities. Specialist in workplace violence risk management. Currently an Independent Security Consultant. Currently the lead field-based Asset Protection Advisor for an independent oil company in East Africa, with prior experience as an embedded security consultant in Libya, Mozambique and Afghanistan. Served for 22 years in the Royal Military Police, specializing in VIP Protection in hostile environments. In addition to CSMP® Diploma, holds a Level 5 diploma in Security Management and Consultancy from Leeds Metropolitan University, Control Risks Security Managers and Consultants' Course, Certificate in Terrorism Studies from St Andrews University, Level 3 Certificate in Protective Security from Buckinghamshire University and NEBOSH International General Certificate. 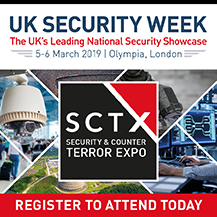 Acting Head of Security and the nominated Security Controller and Ethics Ambassador at a UK site of a technology and innovation leader specialising in defence, national security, and other government and commercial markets around the world. Active member of the Defence Industry Security Association. Qualified ISMS auditor/lead auditor. A UK-based former senior leader in Metropolitan Police Service and head of profession for Dog Support Unit and Lambeth's TSG Taskforce. Specialising in Counter-Terrorist Security Coordination on high-profile events including foreign heads of state visits, Royal & Ministerial protection, CNI/iconic building security and live-televised film premieres, concerts, awards shows and sporting events. Extensively experienced and operationally-tested Public Order Commander with CBRN incident command capability. Strong background in HQ and locally-delivered performance and intelligence management processes and reviews. UK-based Global Corporate Security Manager for a leading FinTech global payments provider. 21 years prior service in HM Prison Service, followed by a year on security compliance at the Olympics, London 2012. Excellent tactical, strategic and crisis management skills developed through extensive experience within corporate, private and public sector security settings. I promote an holistic approach to achieving high standards and constant improvements in service delivery and have a keen interest in helping others achieve their potential. Specialties include; Security Surveying and Design, Contract Management, Project Management, Security Risk Assessments and Reviews, Compliance, Contingency Planning. I also have expertise in Post Incident Care and Trauma Counselling. A British Corporate Investigations Manager for a global media organisation with over 15 years of operational experience in UK law enforcement, risk management operational crisis management and covert IT operations. Specialising in the protection of at -risk personnel and fixated threat assessment, coupled with extensive experience of covert surveillance and IT security and risk mitigation, this assessor brings first-hand experience that can be directly applied to the CSMP assessment process. Holds BSc (Hons) degree from Aston University, CIPD qualified and numerous police certifications including Counter Terrorism critical response, disaster victim identification and post trauma liaison. UK-based Security Manager with 27 years’ operational experience in law enforcement and outsourced operational security management. Along with the CSMP® Diploma, he holds a LCGI Diploma in Security Management, BSC Certificate in Safety Management, Lv3 NVQ in Assessing Competence in the Workplace and various police trade certifications. Specialties include Contract Management, Security Risk Assessments, SOP development and Contingency Planning. South African Director of Security for a Property Development Company, with 10+ years’ experience in the Private Security field, coupled with Military Operational Deployment as a Military Member of the United Nations Organization Mission in the Democratic Republic of Congo. Specialising in overseeing design and installation of integrated physical security systems ranging from CCTV-, Access Management-, Building Intrusion Detection- and Perimeter Intrusion Detection Systems related to all new developments within the Retail Shopping Centre Environment in high risk informal settlement areas. British Director of Security Risk Consultancy at a global private security company. A career that spans in excess of 30 years, including service as a British Army Officer working in the security and policing arena and former head of the Royal Military Police Close Protection Unit. Qualifications include: Senior Investigating Officer, Strategic Firearms Commander (Gold) and in addition to the CSMP® diploma, holds a PG Dip in Strategic Management and Leadership and has recently completed a MBA. Indonesian Regional Security Director at a global US Engineering tech giant, covering all physical and information security and crisis management for part of South East Asia. Prior to the current position, already demonstrated 15 years of extensive experience as a Consultant and Manager in a security consulting firm, Deputy Manager of Security Operations at a US Oil and Gas Company, and Security Manager at a major Oil and Gas Company, all of which operate in high-risk environments in developing countries. Particular expertise in security risk management, security design and intelligence.